I’m a huge fan of Doctor Who, I have been since I was a kid. With the resurgence of the show its been great to see all the fantastic things that have sprung up around the fandom. 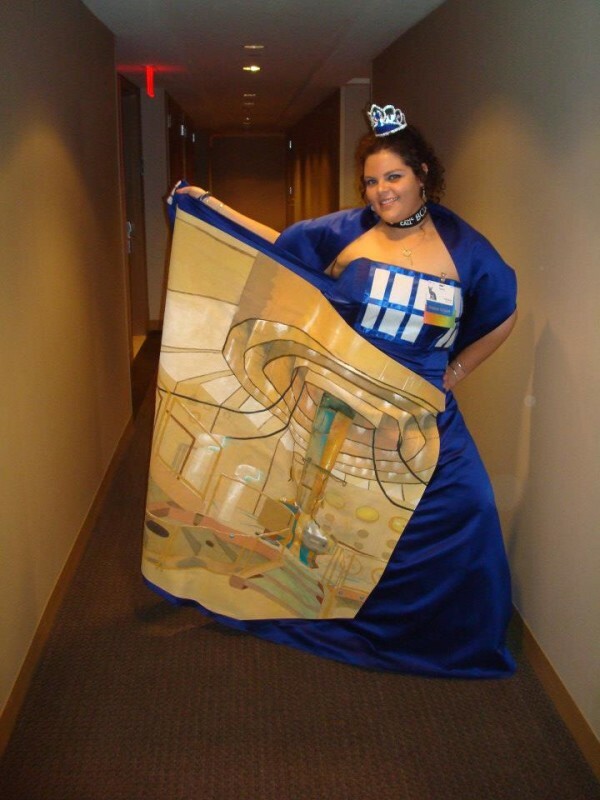 This blog post has 5 wibbily wobbly timey wimey Doctor Who Tardis dresses. Leave a comment and let us know which one if your favorite. 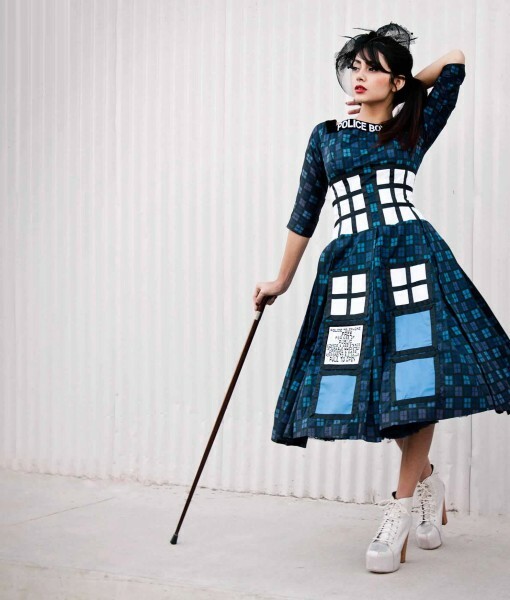 Doctor Who is the perfect genre for a crossover and this dress does just that. Melding the steampunk style with the Tardis is just what the Doctor order (pun intended). These dresses are handmade to order from ReviveGifts on Etsy. 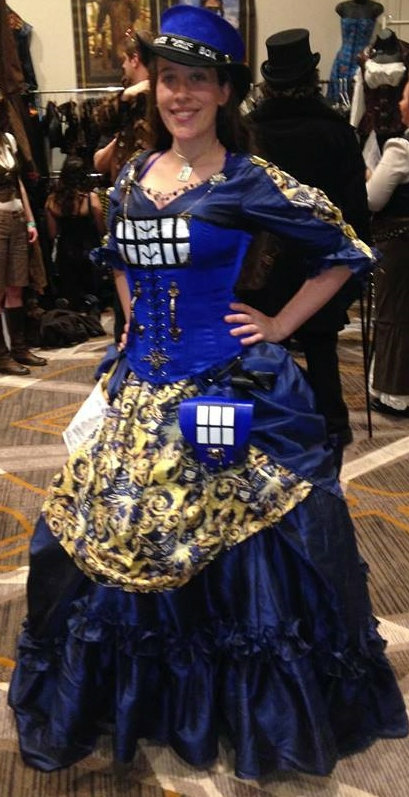 This is a nice simple Victorian Tardis dress. The dress is actually a victorian/60’s cross. Simple design with a corset and flowing dress really makes this dress nice. I love the police box collar on this one. You can find this dress at GeekyU. 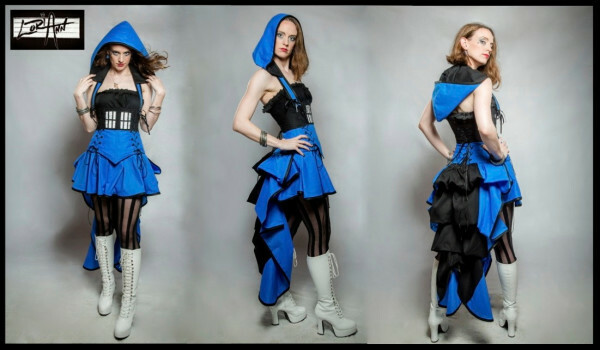 This cosplay Tardis dress made by Tardis Princess is an amazing dress. Opening up the skirt (door) reveals a view of the inside of the Tardis. Wonderfully imaginative. 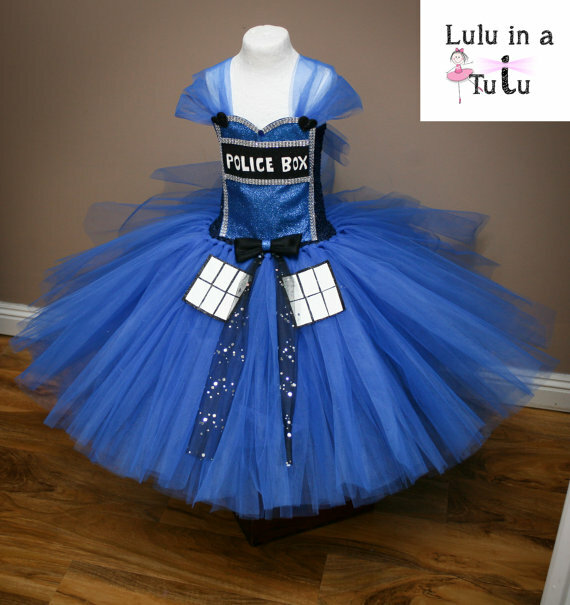 After seeing this Tardis Tutu I am convinced there needs to be a ballet version of Doctor Who. Maybe there already is one. If anyone ever makes one, LuluinaTuTuUK will get a lot of orders on her Etsy store. This Tardis dress just looks awesome. It reminds me of a cross between Doctor Who and Assassins Creed. Loriann37 really did a great job on this dress. Make sure you check our her Etsy store.